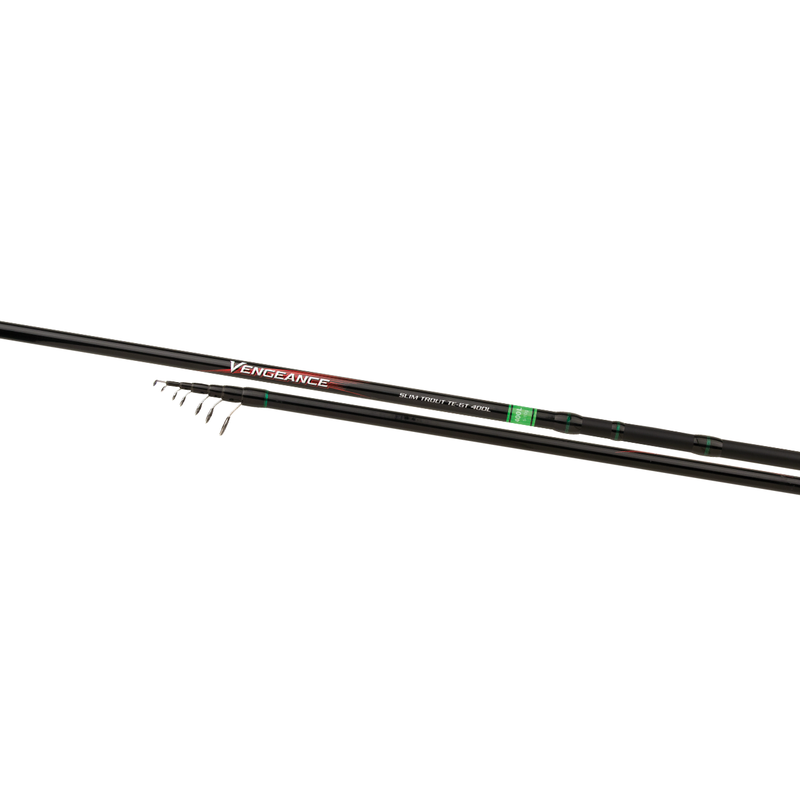 The Vengeance AX Trout range has an easy to understand action/power line up suitable for the inexperienced angler. The ultra slim blank has a sensitive solid tip and is fitted with Shimano Hardlite guides and a Shimano plate reel seat. The visible colour coding makes it easy to switch rods quickly when fishing conditions are changing.